Big changes in strength and physique don't happen overnight. They happen over months and years, with planning and honest reflection. Aim high and we'll help you change your life! You&apos;ve been training for a while now, and you&apos;re happy with your strength and new look. You see a stark difference in your appearance when comparing old photos with newer ones. Folks tell you that you look like "a whole different person." You&apos;ve also come far enough to see your vast room for improvement. And the bad news is that all the simple stuff that got you this far doesn&apos;t seem to work as well anymore. You want to advance. You need to advance. But to do it, you&apos;ll need a new approach and a plan. After we&apos;ve trained for a while, something interesting generally happens. We realize that a lot of what worked before isn&apos;t working so well anymore. Then we panic. You have two options at this crucial moment. You can become complacent and accept this state as your pinnacle or you put your head down and commit to continuing to get bigger, leaner, and better, no matter how hard it will be. I don&apos;t know about you, but I can&apos;t even imagine the first option. I&apos;ll assume you&apos;re striving for constant improvement as well. "You&apos;ll be monitoring your training more closely than you did before, and it will probably need to change more frequently than it did before." Here&apos;s the first step: Accept that you might have to grind for improvements from here on out. Unfortunately, this is just the way it is. The next step: Come to grips with the idea that you&apos;ll be monitoring your training more closely than you did before, and that it will probably need to change more frequently than it did before. No, you&apos;re not doomed to spend your future trolling the Internet every night for bizarre new assistance exercises and nonsensical technique tweaks. That&apos;s called exercise ADD. What I&apos;m advocating is more focused, more analytical, and way more effective. Don&apos;t see yours? Shout it out in the comments! You saw steps one and two. Step three is to set a goal—just one for the moment. Make it a big mother with a round number attached to it, not just "hot" or "ripped." You need something where you can track your progress closely, since you&apos;re going to be working on it for the entire next year. For many people, setting a yearlong goal is frightening. It&apos;s hard to imagine something so far away. But having that monster out there waiting for you is crucial, so let it into your life. Let&apos;s say you have a performance goal of a 500-pound deadlift in a year&apos;s time. Assuming you&apos;re already fairly strong and have a firm sense of what&apos;s possible for the time frame, it&apos;s time to write the goal down, and return to the present. Now you know what you want, so let&apos;s go to work on your plan. Assuming that you&apos;re not very close to your goal at the moment, it&apos;s probably not going to be an option to simply "work up" to it. (If that does seem like an option, set a bigger goal.) 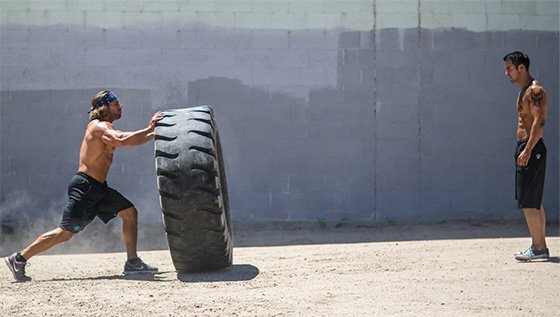 Like an athlete trying to peak during the season, you&apos;re going to get to your destination by alternating periods of pushing with periods of holding back. This is your basic periodization method, but what many athletes and trainers fail to grasp is that it&apos;s an art, not just a math problem. That&apos;s why my favorite model of periodization is 6-8 weeks of following the plan exactly as written, giving it everything you have, followed by 1-2 weeks of less intensity, volume, and most importantly, reflection. Reflection? Like … In The Mirror? You may be familiar with the idea of a deload period, but maybe not so much with the reflection. What I mean by reflection here is some time spent studying your logbook and your results, patiently and honestly. You have at least a week of "holding back" at your disposal here, so don&apos;t rush into any decisions. Your goal is identify what&apos;s working well, and what&apos;s not. Keep the former, discard the latter. Very Bruce Lee of me, no? Reflect on what has worked for you and what has not. Take the time to address your progress, then adjust your plan periodically. Let&apos;s say you&apos;re making gains using sumo deads. If that&apos;s the case, consider keeping this variation in your next training cycle and adjusting what didn&apos;t work so well. On the other hand, if the lift wasn&apos;t feeling good or delivering results, consider another variation, movement, or set and rep scheme for the next cycle. The same goes for physique enhancement. If your goals are to bring up certain body parts, look back at how much you&apos;ve progressed for each movement, and also note the aesthetic or measurement changes that occurred. 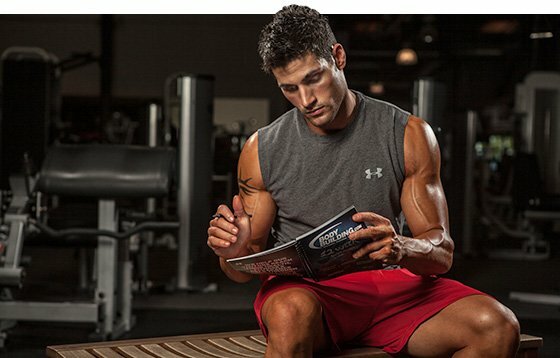 Did you notice that a flat bench doesn&apos;t activate the pecs like incline DB press with a twist at the top? Make a note, and do something different in the next training cycle. Six Weeks Means Six Weeks! One workout is not enough to determine a program&apos;s effectiveness. Give it 6-8 weeks, then assess its effect on your physique. Give it a chance to work. Your training might change drastically from cycle to cycle using this method, and it might not. It&apos;s all based on your frank analysis of how your training is going. But here&apos;s the key: Once you&apos;ve got your new 6-8 week cycle planned out and sitting in front of you, you&apos;re going to sell out to it completely. This means no daily analysis or second-guessing, and no time spent obsessing over the latest technique tweak you just saw online. If you&apos;re aiming for physique goals, it probably means no stepping on the scale every morning. Definitely don&apos;t step on it more than once per week, and consider dropping it entirely if you&apos;re the type who makes reactive decisions based on what number looks up at you. For the next 6-8 weeks, no jumping ship! You may feel something isn&apos;t working, but you&apos;re going to do your best to make it work, all the way through your two-month commitment. Give it a fighting chance, and if you&apos;re still not feeling it, refine your plan for the next round. You alone are totally qualified to set your goals. But you might not be the best person to figure out how to get there. This could be a good opportunity to hire a coach if you haven&apos;t before. The thing is, they&apos;re usually great if you have concrete goal; it&apos;s when you don&apos;t that they can feel like a waste of time and money. Even if you write the programming yourself, have someone more knowledgeable than you look it over during your reflection periods. Stay accountable to this person, or find a buddy to check in with regularly. No matter how important your goals are, a year is a long time, so it&apos;s crucial to add in some safeguards to keep you from flaking (no offense). Aside from that, just make sure you hit the gym, record every set and rep, and give it everything you have. "Hit the gym, record every set and rep, and give it everything you have." Training this way isn&apos;t easy. Visible changes won&apos;t happen each week, and adding weight to the bar quickly gets harder and harder. Diligence and focus are of the utmost importance here if you want to advance onward. It sounds like a cliche, but you&apos;ll find out pretty quickly how much you really want it. Is this level of planning worth the time and trouble? I think so, but you have to decide that for yourself. Shout out your goal in the comments and let&apos;s see how far you can go!